Appreciated for centuries in the open, veranda-style homes of warmer climates, the traditional charm of timber shutters is now being used to brilliant effect in creating contemporary decor. Beyond letting in a cool breeze on a summer’s night, the authentic design of our Plantation Shutters brings a sense of class and sophistication to any room setting and provides a readily affordable solution to adding real character and value to your property. The complete range of custom-made Timber Shutters produced by PJ Curtains and Blinds is crafted from beautiful lightweight timber renowned for its lasting elegance, consistent grain, immense strength and stability, and outstanding resistance to bowing or warping. According to individual preference, you can choose to have your Plantation Shutters either painted or stained ~ and select from a virtually endless variety of fashion colours to coordinate with and complement your décor. You can also be sure that the design and natural insulation of our timber shutters will enable you to create a more energy efficient living space, and help lower your cooling costs. As well as fitting almost any size or shape of window, our shutters even fit in with today’s lifestyle of keeping cleaning to an absolute minimum, requiring only an occasional dust over. 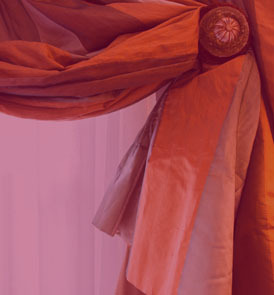 Inspired decor solutions for your home or office, outstanding customer service and a world class product range that is second to none on quality and price, all combine to make PJ Curtains and Blinds the best supplier of window covering solutions for customers in search of designer quality at factory prices.